Hollywood, normally a melting pot of a whole lot of STUPID, does have some celebrities worth listening to still. One of the few would be Denzel Washington. The recent Academy Award winner was cornered at a press event for one of his movie events a few months back shortly before Trump became president, by a reporter who had an agenda…a political agenda. 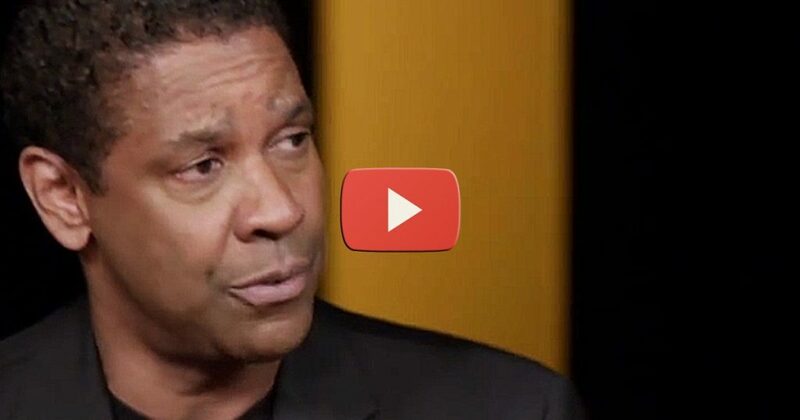 How Denzel responded to this reporter is brilliant, no genius, in fact…absolutely perfect. Somehow it is just getting out now, but it was worth the wait…it’s that good. It was not your typical liberal celebrity answer, not by a long shot. “Just wondering who you wound up supporting in the election and why?” demanded journalist Nicholas Ballasy while on the red carpet. Denzel responded, and without sugar coating a thing. “None of your business!” he stated, looking quite annoyed by the question. That honest answer seemed to be an indirect jab at the countless celebrities who run their mouths on political issues, while knowing almost nothing about the complex topics. Many other Hollywood figures would have given the stock answer and applauded Obama as the savior of black Americans and race relations in general. Denzel took a different approach. “Race relationships have to do with race relationships,” the actor explained, implying that the president had little to do with the topic. As you can see Denzel Washington just gets it. A celebrity who is also intelligent, has his common sense intact and is actually GOOD at what he does, earning the title A-listed celebrity! I have to say, this is more than comforting to hear. With all the garbage coming out of Hollywood, it’s easy to lose hope that there is any sign of intelligent life left there…..but thanks to Denzel, it has been confirmed. Here’s hoping some of his fellow celebrity friends take note and follow his example.